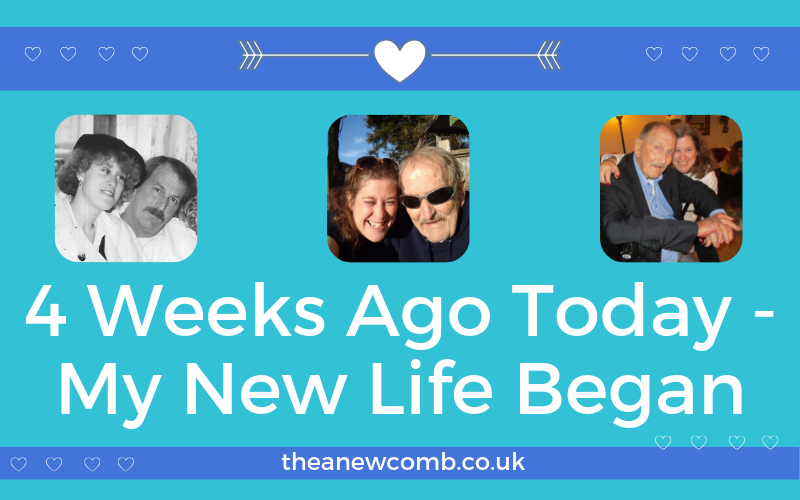 It was 4 weeks ago today that my new life began. I am sure that, soon enough, I’ll stop marking the days and weeks since my father’s transition, but like any loss, it’s a process. I already blogged about this here on my blog, earlier this week, on my dad moved on (and on his blog too), but I thought I’d keep on writing down how I am handling his passing and this time of change. It will be interesting to reflect back some day, for me even if for no one else. Some might argue I am in complete denial, but honestly, I think am doing good all things considered. (That’s my usual response when anyone has asked since his passing). On Christmas Eve, the day after he took his last breath, I sat at my sister’s house in a complete fog. As I surveyed all her beautiful Christmas decorations I could not have been feeling less Christmassy if I tried. I had spent the first night alone in his place, but not managed to get any real sleep. So to say I was in a “fog” would be a bit of an understatement. Anyway, as I surveyed her decor, I heard the words “choose a different response”. Well that is not verbatim, but that was the gist of the sentiment. So I pondered the concept of “ok now”. Ramblings of a sleep deprived daughter who just lost her father? Perhaps. But maybe, just maybe, there was something in there. The questions didn’t stop there. They have been coming every day since, but honestly I’ve been OK since then. Not just ok but better than expected to be honest with you. My father and I have had a bond since the day I was born. My mother even remarked that the only reason she had me was to bring he and I together, so one could argue our bond pre-dates birth! What I do know is that we had a pure, unconditional love, that has truly felt like it was unusual and eternal – for my entire life. We could read each other’s thoughts – whether in the same room – or even when we were half a world apart. We had a sort of mental shorthand which was both spooky and cool in equal measure. We spoke every day, often at length (thank you Skype). We even used to watch TV together (from 5000 miles apart). For the last twenty seven years, we’ve physically been apart, and yet remained close as can be. What if I could choose to view his passing as bringing us closer not further apart? I can talk to him – just like I’ve always done (which I have been doing). I have countless hours of videos, if I feel the need to hear his voice. I’ve been scanning photos since I returned to Scotland. There are hundreds of those from every moment of his life. For the past year and half or so I’ve run his Ralph Says Things Blog and social media channels (RST Facebook, RST Instagram, RST Twitter among them) posting his words, photos and videos. It’s something I intend to keep doing – as much as my time allows. Some might say “you are exploiting your deceased father” – but it’s not about them or anyone. It’s about me and him. Thank you very much. I choose to view it as celebrating him, his life, knowledge and humour. 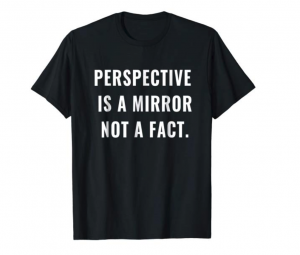 As I always say “Perspective is a Mirror, Not a Fact”. So here we are, four weeks after Ralph took his last breaths, with me by his side, and I am wondering how best to carry on his legacy. Is it a book? Is it a film? What would Ralph want? I am not sure to be honest. He had started on a fiction book but only wrote three chapters. I know he’d love me to complete that. (Thankfully I have one long video where he tells me the concept). And I’ll probably make some new shirts for his store. You can visit the Ralph Says Things RB collection here. For now, I’ll just keep on processing his transition, continue seeking as much joy as much as possible, and celebrating his life in any way that I can, as I think that’s what he would want. He’d want me to be happy, making money, seeing the world whenever I can, spending time with friends and living life to the full.